Puff! And they were gone! Despite the slow foggy drive into Framlingham Market today, trade got off to a brisk start. 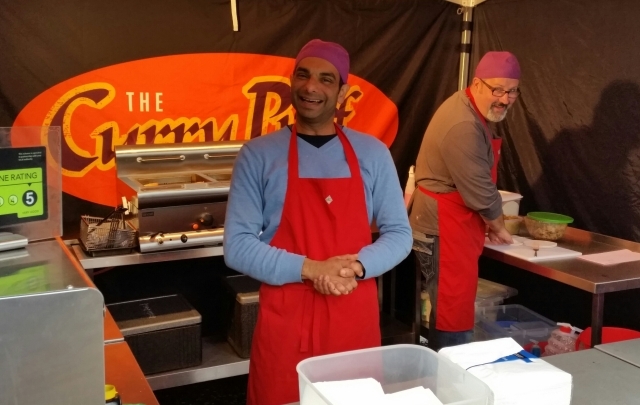 It was great to meet Vij and Rob from The Curry Puff Company with their delicious Curry Puffs. The Puffs sold really well, available in Lamb, Vegetarian and Spicy Apple. In fact they sold so well that Rob had to return to base to pick up more supplies to meet demand at lunchtime. 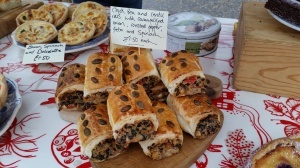 Lucy from The Great Glenham Bake had another sell out, with her delicious Chick Pea & Lentil Rolls. As well as her usual home baked goodies, including Aga baked sausage rolls, various sweet and savoury tarts, and her too good to miss chocolate brownies. It was great to see lots of continued support for the market today, and nice to see a good variety of stalls, creating a great atmosphere in our lovely Market Town, Framlingham. 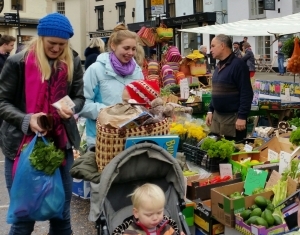 Remember, you never know what you might find on Framlingham Market!